Did you know that the gorgeous Fusion Mineral Paint Metallics are now available in tester size bottles? Perhaps it is my fault if you didn't know! I've had them for sale in both my brick and mortar shop and my online shop for quite some time and a couple days ago I took a few minutes to take some photos to share with you. 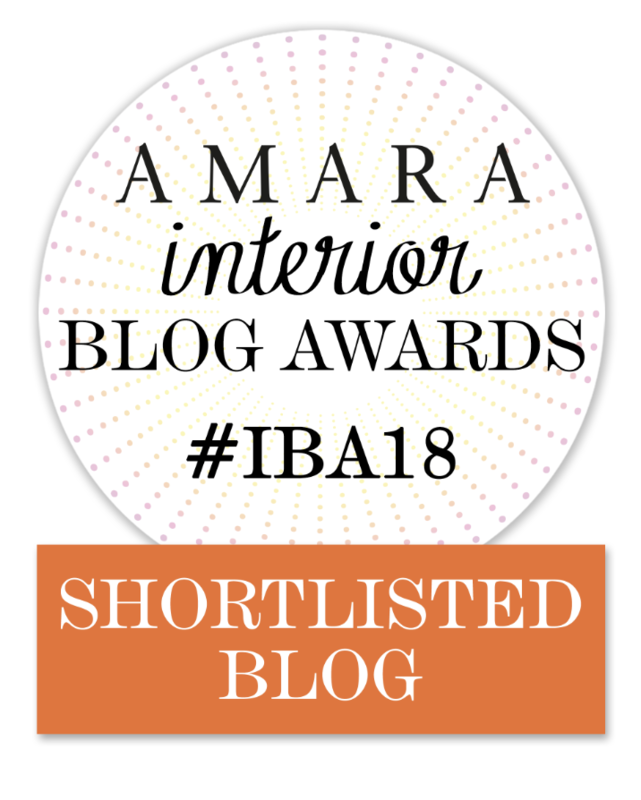 Let's face it, a blog post without photos is not very exciting. Now there are two sizes to choose from! 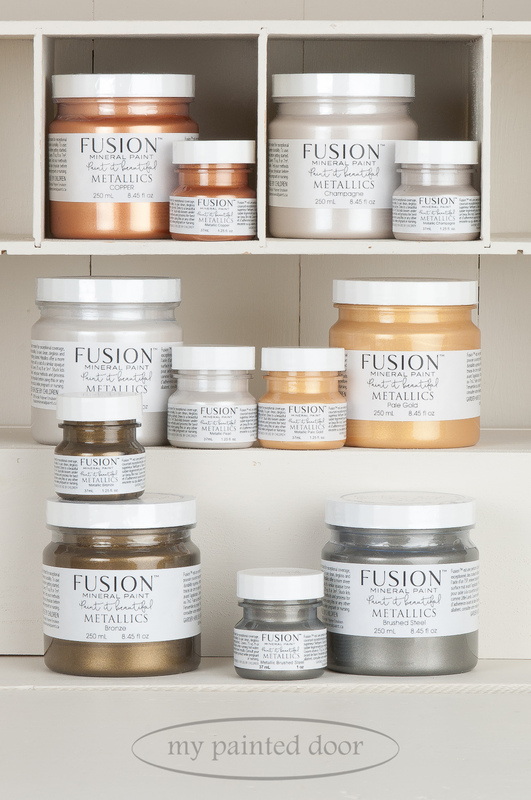 Fusion Metallics are made from pure mica pigments which really makes them shimmer. It's difficult to capture the shimmer in a photo, but the metallics are just beautiful! Brushed Steel is one of my favourites! The colours in this collection include (from left to right): Pearl, Champagne, Brushed Steel, Pale Gold, Copper and Bronze. To get the best bang for your buck, I recommend painting a coat or two of the regular Fusion Mineral Paint before using the Fusion Metallic Paint. The metallics don't cover quite as well as the regular paint. By doing this, you will save a bit of money and use less coats of the metallics. For example, when using the Brushed Steel Metallic Paint, you may want to give your project a coat of Fusion Paint in the colour Little Lamb (or another grey) first. When using one of the lighter metallics, such as Pearl or Champagne, I would recommend painting a coat or two of one of the Fusion whites first. Just like the "regular" Fusion Paints, the metallics are very durable and have a built in topcoat. Fusion also has a fairly new product called TSP. I am so excited about this product and it has been flying off my shelves! Fusion TSP is a phosphate-free organic cleaner and degreaser that does not require rinsing. Any other brands of TSP that I have ever used required rinsing, so a no rinse formula is fantastic! Sounds like a small bonus, but imagine the time you can save if you wash all of your kitchen cabinets before painting them and don't have to rinse them. Sweet! It is not always necessary to use TSP before painting but if you are painting a very dirty or greasy piece, I would give it a good cleaning with TSP first. Using TSP on kitchen cabinets before painting is an absolute must! I often score old pieces of furniture from barns, garages and other outbuildings and they really need a good cleaning too. Fusion TSP is concentrated, so a little goes a long way! You only need to mix 2 capfuls into one litre of water. If you are not familiar with TSP, my friend Jennylyn has made a wonderful little video about it. Oh my! Have you seen this book by Jamie Lundstrom from So Much Better With Age? If you love French vintage decor, you will love this book! I have followed Jamie's blog for quite some time now and was so excited when I received a copy of her book. It is totally my style! This book features many wonderful DIY projects including some painted pieces using Fusion Mineral Paint and Fusion Fresco. A couple years ago I painted several doors for a friend's wedding using Fresco, but I have not played around with Fresco since then. That needs to change! Fresco is quite amazing! I love this book and I thought you might enjoy it too! It's now available in my shop. Photos courtesy of Jamie Lundstrom, creator of So Much Better With Age. Posted on July 27, 2018 by Sue Sikorski and filed under Fusion Mineral Paint and tagged 2018 metallic paint tsp.